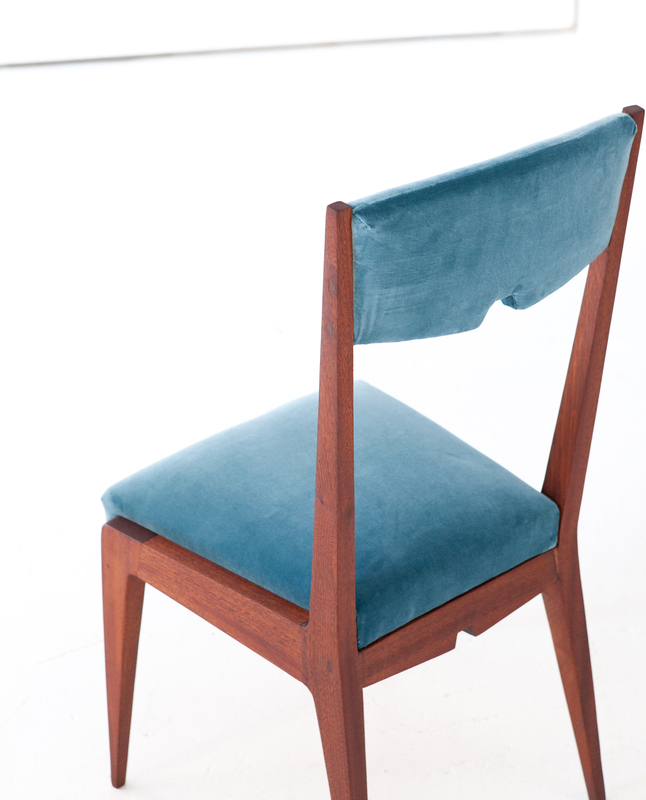 The frame is made of solid and high quality mahogany wood , this is completely restored with a deep sanding , new gluing of all joints and japanese oil finishing . 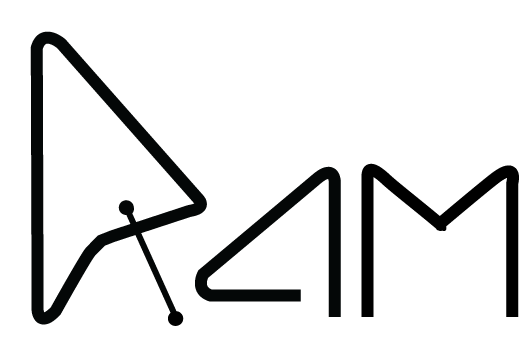 This work will guarantee a new and long life cycle . 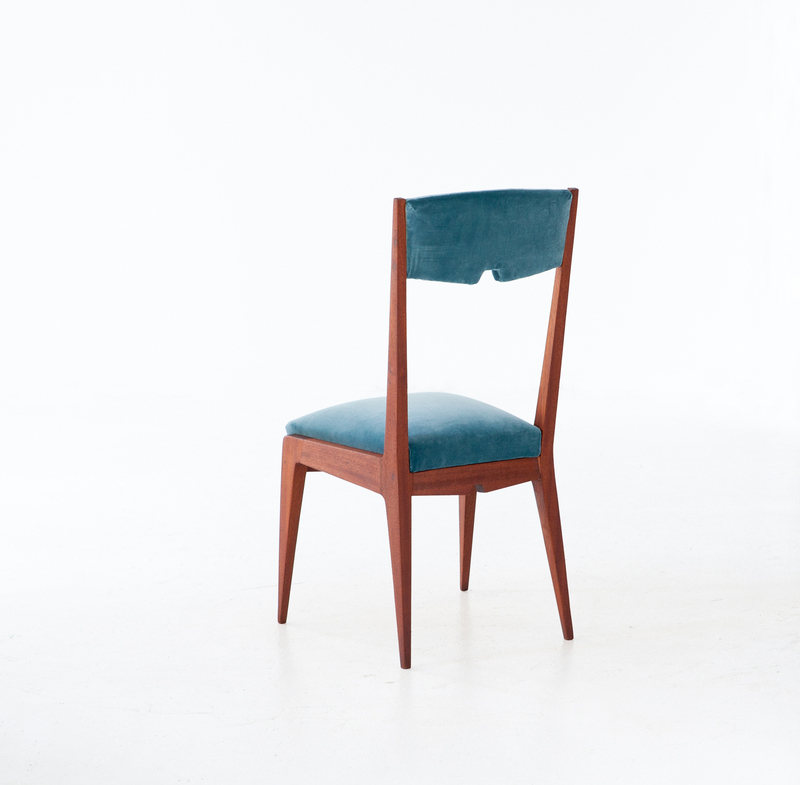 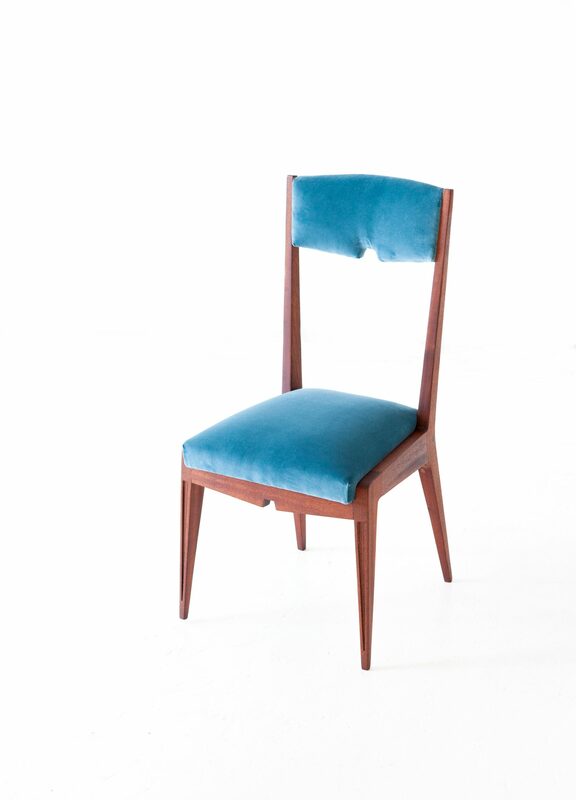 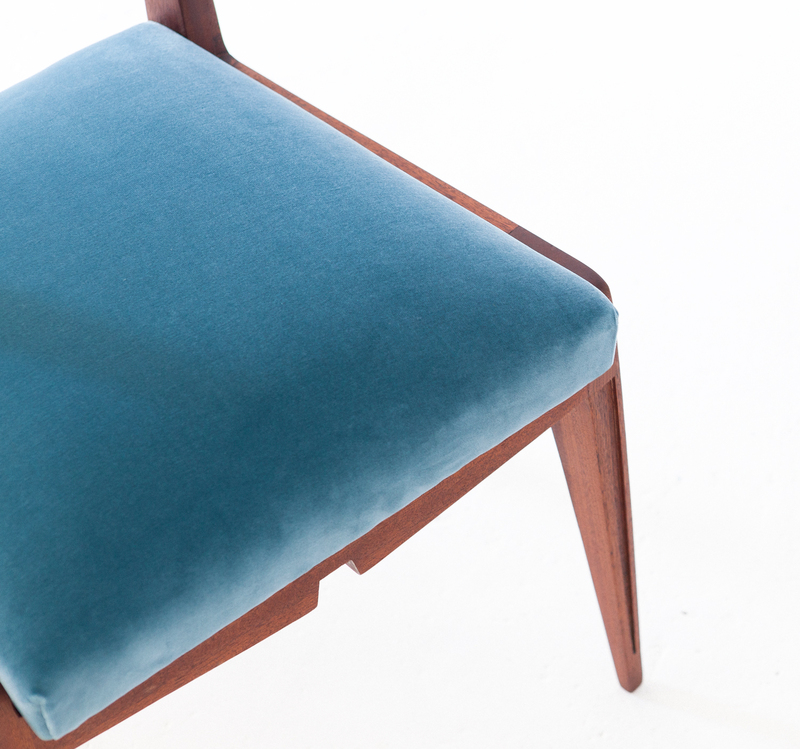 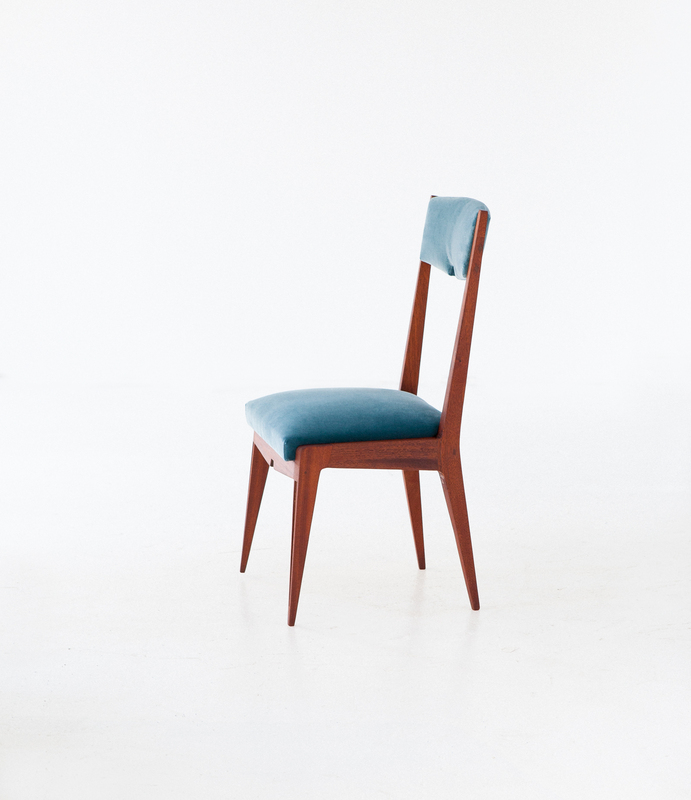 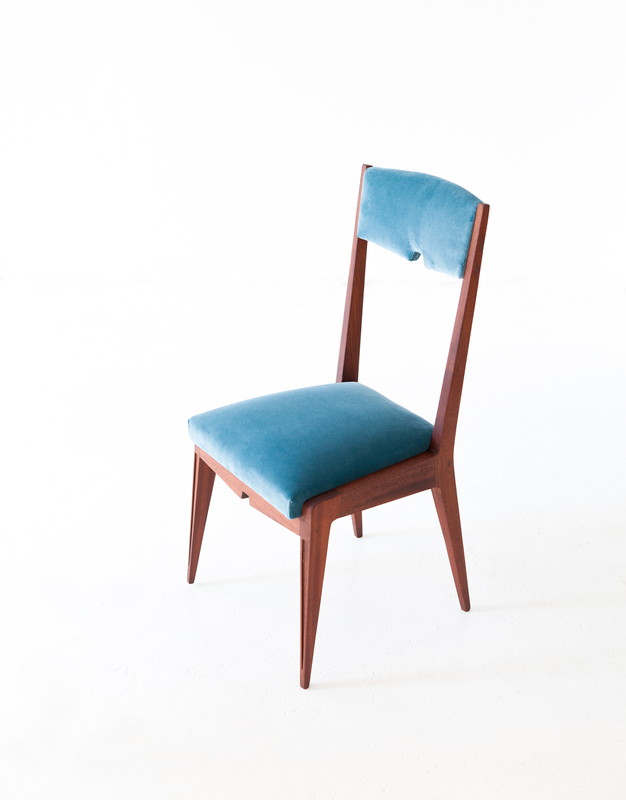 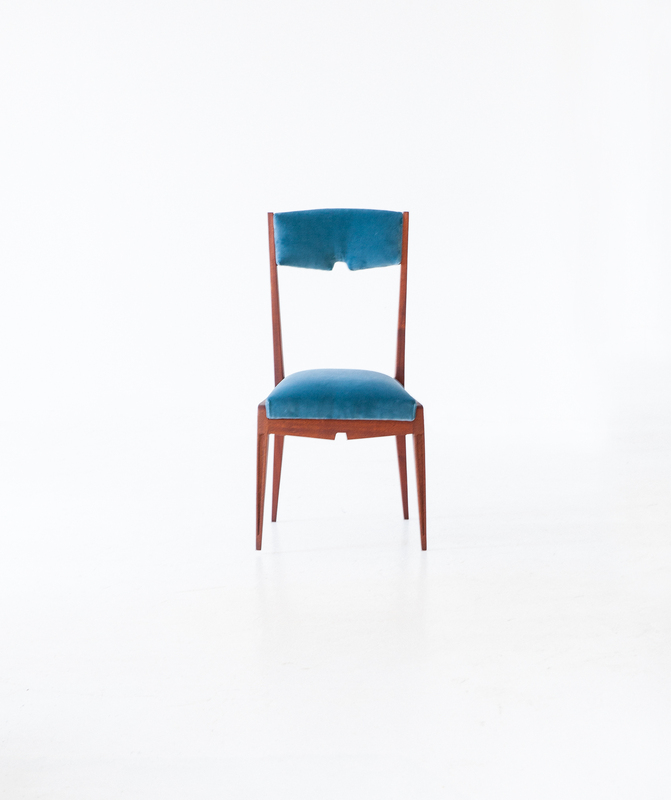 Also the upholtery is new with a light blue cotton velvet and new foam paddings .